[An SEO score under 50% is below average and generally well behind those leading the market online. [An SEO score between 34% and 67% is an average score, and generally means you are currently performing reasonably well but there is plenty of room for improvement. This report was manually produced by one of our SEO experts, yes an actual human rather than a robot. We know exactly what it takes to get you ranking high. Your SEO score is the combined result of the following primary scores. Your Google Reach score represents how successful your website is at reaching prospects who are searching for your offering online. This data is based on your market specific keywords and how well your website performs in Google’s organic search results. The following 10 keywords / phrases are specific to your business offering, if there are others that you believe are more suitable, let us know so that we can update this report accordingly. The following results show which websites are gaining the most traffic from people searching for your target keywords on Google. Many may not be direct business competitors, they just happen to dominate the 1st page of Google for the search terms / keywords that matter most to your business. Onsite SEO is all about getting your website perfect in the eyes of Google. It’s not just about content and including keywords in your copy and metadata, onsite SEO goes far deeper and more technical than that. Then there’s user experience and conversion optimisation, the list goes on. We can’t list it all here, but below is a summary of some of the basics to consider as a priority. Offsite SEO is everything that happens away from a website that affects its SEO results. There are arguably many offsite / external SEO ranking factors, however the most important by far are backlinks. Search engines such as Google consider backlinks as votes of quality for the webpage / website they are linking to. A website with many high value backlinks coming from many different websites will usually rank higher than an otherwise equal website with fewer or lower quality backlinks. Doesn’t Google ignore backlinks nowadays? No, Google heavily relies on backlinks. Backlinks and content are the most important ranking factors. Google only ignores links from irrelevant, low quality pages and websites that brings no value to internet users. So, what can we do to help turn things around? We gain a high-level insight into your business / target market and then leverage it to maximise on ROI. We build a keyword strategy that laser focuses on search terms that produce the highest marketing and commercial value to your business. We take a ‘Content Is King’ approach, because we know that high quality, highly relevant content produces ranks and traffic that last longest and produce the highest quality leads. We focus on quality and consistency across every smallest aspect of your SEO. For continued success SEO requires a consistent improvement of the ranking factors that matter most to Google and search engines. We provide a 100% done for you service, this is vital because it allows us to confidently guarantee results knowing nothing can get in our way. "I have seen a dramatic increase in converted leads and the phone has been going off more than ever"
"We would have no hesitation recommending these SEO services to anyone. With the increased enquiries we are getting higher sales rates which is what we all want." "Since employing you to advertise my business on Google I have seen the number of client enquiries rising by 25%+." "The knowledge of the team is outstanding …and I can honestly say we wouldn’t have got there without them." "I’ve found Springhill Marketing very knowledgeable, professional and easy to deal with. They take their time to understand your company objectives, what your overall strategy is and how their services can help you fulfil your business plan." "If you want sound advice, a friendly service – where nothing is too much trouble and results that are really mustard then Springhill Marketing is the only way to go for your Digital Marketing." "I can highly recommend Springhill Marketing. Providing us with Online Marketing, SEO and Google Adwords services for many years, they’ve dramatically increased our website traffic, new business enquiries and sales." "We've worked with several SEO companies over the years, but none blew my mind like this team. I can see why the name Mr. Anderson is synonymous with the Matrix!" We take SEO seriously, that’s why we have the confidence that our techniques will work! 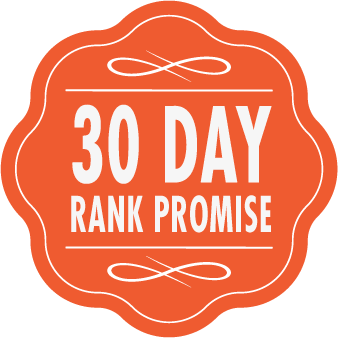 We promise that you will have higher Google rankings or organic traffic within the first 30 days or we will work until you do, for free!